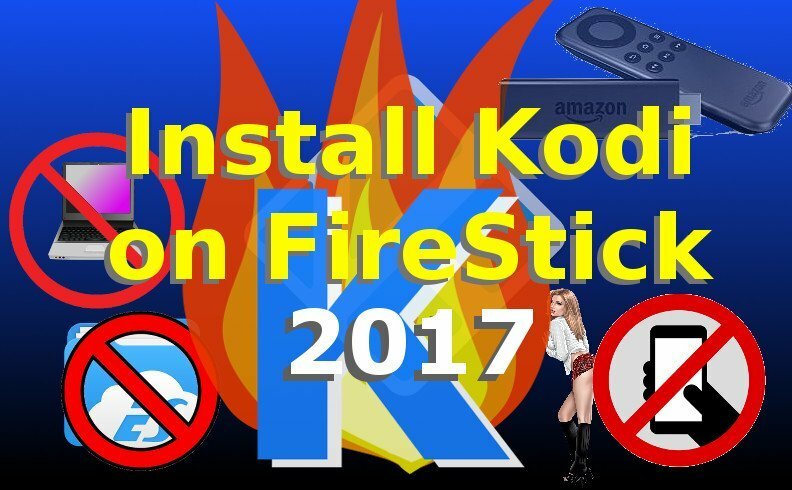 Here’s the Install Kodi No Computer FireStick Required Method for 2017. Kodi and Fire Stick combine to make a true force to be reckoned with. But thankfully, Kodi is easy to install on your Fire Stick without even needing to hook up to your own personal computer or laptop. Go to “Apps from Unknown Sources” and turn it on, as well as “ADB Debugging“. This enables you to install and use apps from third party developers, even when they are not recognized by Amazon. When you clear this operation, you can confirm the action with a pop-up window prompt, which will appear on the screen. Click yes and move on to the next step. Go back to your Fire Stick Home screen and hit the search button, then enter “Downloader”. Select the item and when a new tab appears, click on “Download” or “Install“. This will prompt the installation of the application. After that, sit back and relax for a little while. Wait for the download to complete. As soon as you have installed the Downloader app, click on Open to access the app. Enter “http://bit.ly/kodi173arm” for Kodi 17.1 (Krypton), or Enter “http://bit.ly/kodi161arm” for Kodi 16.1 Jarvis. (the previous text is crossed out because Kodi 16 Jarvis no longer “works” with TV Addons). You must now use Kodi 17.1! So make sure you install Kodi 17.1 – not Kodi 16.1 or Kodi 17.0. Once Kodi is done with the install, select Open to launch Kodi for the first time. After Kodi launches, install TV Addons! Then set up a Kodi VPN to protect your streaming data so you don’t get a “nasty” letter from your ISP! You will now be able to find “KODI” under “Apps” in the Fire TV Home screen. Click on it and Kodi will launch! If you download the Kodi APK file from an APK file website, or from the official Kodi home page, then select the ARM Version of Kodi for Android and download it. As the download completes, open the file and install the content. You are now ready to watch movies and TV shows in Kodi!